Plant biotechnology : Micro propagation, cell cultures on medicinal plants, improvement of banana. Research & development of plant biotechnology to the rural sector in Sri Lanka. Higher Education development in Sri Lanka. Chairperson, University Grants Commission, Sri Lanka from 2013-2015. Vice-Chancellor, University of Colombo, Sri Lanka from 2nd January, 2008 to Jan 2013. Commission Member, University Grant Commission for May 2005 to Dec 2007. A member Governing Board, Industrial Technology Institute, Colombo. Member, Committee of Technology transfer of the National Science Foundation, Colombo. Coordinator M. Phil/ PhD. programs, Faculty of Graduate studies, University of Colombo. Chairperson, Board of Studies for Professional Studies (BSPS), Faculty of Graduate studies, University of Colombo. A member, Third World Organization for Women in Science. 2015. Honorary Doctorate in Management by the Management & Science University, Malaysia. 2014. A recognition award on world women’s day. Bank of Ceylon, Independence square branch. 2013 4th Asia’s Best B-School Awards. Education Leadership Award. CMO Council, India. 2013. Power Woman Award of the Year 2012/2013. In recognition of the outstanding leadership qualities. Professional & Career Women Awards by UNOPS & Women in Management. 2012. Award for outstanding achievements of career women contributing to rural sector, for the first 100 women in the world. US Women Organization. United States of America. 2011 2nd Asia’s Best B-School Awards. Award for outstanding contribution to education. CMO Council, India. 2010 Presidential Research Awards by His Excellency President of Sri Lanka for the plant biotechnology research carried out in 2003, 2005 & 2006. 2009 Aryabhata International Award for Education. Aryabhata Foundation, Bangalore, India. 2009 Award of the Association of Commonwealth Universities Award for Rural community projects –received to the Weligatta Center work. Commonwealth of Learning, Canada. 2010 & 2008 Award for medicinal plant research. Tirupathi University, India. 2007 Awarded International Visitor Leadership Fellowship on “University Administration” by United States Department of State, February. Zonta Award for Most Outstanding Achievement given for Women-2006. National Award Winner – Ministry of Science & Technology – 2005. Best Agricultural Research Award – 1994. International Lions Club. Laksiri BDP and Hirimburegama K. 2001. Banana improvement in Sri Lanka through radiation induced mutation and tissue culture. Proc. Third FAO/IAEA Research Coordination Meeting. Colombo. October, 1999. Hirimburegama K 2008. Plant Tissue Culture (revised edition). Godage Publishers. Hirimburegama 1997. Plant Tissue Culture (in local language). A Supplementary Text Book for GCE (AL)- Agriculture. National Institute of Education. 1997. ISBN955-597-409-8. Hirimburegama Kshanika. 1999. Plant Growth & Development.Vol I Phytohormones I. OUSL Publication. Hirimburegama Kshanika. 1999. Plant Growth & Development. Vol II Phytohormone II, 1999. OUSL Publication. Hirimburegama Kshanika. 1999. Plant Growth & Development. Vol III Photomorphogenesis & Photoperiodism. OUSL Publication. Hirimburegama Kshanika. 1999. Plant Growth & Development . Vol IV Dormancy, Seed Germination & Embryo Development. The Open University of Sri Lanka, Faculty of Science, Level 5. BTU 3103. Botany. Hirimburegama K, (2017). In vitro culture of medicinal plants in Sri Lanka for bio-prospecting, Advances in Disease Management for Human Welfare Bio prospecting of Medicinal plants & Microbes, Gulbarga University, Hyderabad, India. Hirimburegama K and Vidanapathirana NP, (2016). Impact of Online Agro-Technology Diploma Program and Its Future Perspectives for Improving Socio-economic Well-Being of Farmers in Sri Lanka, Tampere, Finland. Vidanapathirana, N.P., Hirimburegama, K., Hirimburegama, W.K., Nelka, S.A.P. (2015). Exploring farmers acceptance of E-Learning using technology Acceptance Model –A case study in Sri Lanka. EDULEARN15 Proceedings (7th International Conference on Education and New Learning Technologies), ISBN: 978-84-606-8243-1, ISSN: 2340-1117, pp. 4287-4294. Vidanapathirana, N.P., Hirimburegama, K., Hirimburegama, W.K., Nelka, S.A.P., Kim, J.H. (2015) Socio-economic development of farmers through ICT-based education and rural entrepreneurship development: A case study in Sri Lanka. EDULEARN15 Proceedings (7th International Conference on Education and New Learning Technologies), ISBN: 978-84-606-8243-1, ISSN: 2340-1117, pp. 4327-4333. Vidanapathirana, N. P., Hirimburegama, K., Kim, J.H., Hirimburegama, W.K., Nelka, S.A.P. (2013). Employing web technologies for giving knowledge to farmers: An empirical study of collaborative learning for farmers in Sri Lanka. In INTED2013 Proceedings (pp. 450-457): IATED Digital Library. Vidanapathirana, N. P., Hirimburegama, K., Kim, J.H., Hirimburegama,W.K., Nelka, S.A.P. (2013). ICT based innovative farmer education program to bridge information and knowledge gap of agriculture: A case study in Sri Lanka. In INTED2013 Proceedings (pp. 491-497): IATED Digital Library. Vidanapathirana, N. P., Hirimburegama, K., Nelka, S.A.P., Hirimburegama, K., Kim, J.H. (2012). Impact of Online Agro-technology Diploma Program and Its Future Perspectives for Improving Socio-economic Well-Being of Farmers in Sri Lanka. In K. Eriksson-Backa, A. Luoma, & E. Krook (Eds. ), Exploring the Abyss of Inequalities (Vol. 313, pp. 68-82): Springer Berlin Heidelberg. Vidanapathirana, N. P., Hirimburegama, K., Nelka, S.A.P., Hirimburegama, W.K., Kim, J.H. (2012). Impact of Online Agro-technology Diploma Program and Its Future Perspectives for Improving Socio-economic Well-Being of Farmers in Sri Lanka. In K. Eriksson-Backa, A. Luoma & E. Krook (Eds. ), Exploring the Abyss of Inequalities (Vol. 313, pp. 68-82): Springer Berlin Heidelberg. Vidanapathirana, N. P., Hirimburegama, K., Kim, J.H., Hirimburegama, W.K., Nelka, S.A.P. (2012). ICT based Innovative Farmer Education Programme to bridge Information and Knowledge gap of Agriculture: A Case Study in Sri Lanka. . In IRHEAProceedings(pp.345-350)http://www.rhea-project.eu/Workshops/Conferences/%20Proceedings_RHEA_2012.pdf. Vidanapathirana, NP Hirimburegama, K and Coomaraswamy, U. 2010. Online Distance Learning for improving socioeconomic status of farming community in Sri Lanka. Pan Commonwealth Forum 6, India, 2010. Thayamini H. Seran, Hirimburegama K. and Gunasekare M. T. K. (2007). Production of embryogenic callus from leaf explants of Camellia sinensis (L.). Journal of National Science Foundation 35 (3). Thayamini H. Seran, Hirimburegama K. and Gunasekare M. T. K. (2007). Production of cotyledon-type somatic embryos directly from immature cotyledonary explants of Camellia sinensis (L.). UK Journal of Horticultural Science & Biotechnology 82 (1): 119-125. Thayamini H. Seran, Gunasekare M. T. K. and Hirimburegama K. (2006). Germination and subsequent plant development of in vitro cultured zygotic embryos and embryonic axes in comparison to conventional seed propagation of tea (Camellia sinensis L.). Journal of Tea Science 71 (2). Thayamini H. Seran, Hirimburegama K. and Gunasekare M. T. K. (2006). Direct somatic embryogenesis from explants obtained from in vitro germinated embryonic axes of Camellia sinensis (L.) O. Kuntze. UK Journal of Horticultural Science & Biotechnology 81 (5): 883-890. Thayamini H. Seran, Hirimburegama K. and Gunasekare M. T. K. (2005). Encapsulation of embryonic axes of Camellia sinensis (L.) O. Kuntze (tea) and subsequent in vitro germination. UK Journal of Horticultural Science & Biotechnology 80 (1): 154 -158. Hirimburegama K. 2005. Current status of tissue culture technology in Sri Lanka. Biotechnology in Sri Lanka. (Ed. D Mathew), SLAAS. Fernando S and Hirimburegama K. 2003. Plant regeneration through plumule of Cocous nucifera (coconut). Plant Cell, Tissue and Organ culture, 72(3): 281-283. Hirimburegama W K, Dias G and Hirimburegama K. 2002. Development of a technology for screening for Banana Bract Mosaic Virus through Elisa. in “Cellular Biology & Biotechnology including mutation techniques for creation of new useful banana genotypes. IAEA publication. Thayamini H. Seran, Hirimburegama Kshanika., Hirimburegama K. and Shanmugarajah V. (1999). Callus formation in anther culture of tea clones, Camellia sinenesis (L.) O.Kuntze. Journal of National Science Foundation 27 (3): 165-175. Laksiri BDP & Hirimburegama K. 1999. Banana improvement in Sri Lanka through radiation induced mutation and tissue culture. In “Cellular Biology & Biotechnology including mutation techniques for creation of new useful banana genotypes. IAEA publication, Vienna. Seran, TH., Hirimburegama K & Shanmuganathan T. 1999. Anther culture of Tea (Camellia sinensis). J of Tea Science, Sri Lanka. Seran,TH., Hirimburegama K and Shanmuganathan T. 1998. Regeneration of plantlets from cultured anthers of Tea (Camellia sinensis) (L). O. Kuntz. Tropical Agricultural Research. Vol 10: 271-281. Hirimburegama K & Gamage N. 1997. Cultivar specificity with respect to in vitro micropropagation of Musa spp (Banana & Plantains). J Hort Sci, UK.72(1). Sarathchandra T M, Sarathchandra K & Hirimburegama K. 1997. Development of roots on in vitro produced shoots of Camellia sinensis L. Sri Lanka J of Tea Sci. Hirimburegama K & Gamage N. 1997. A study on the development of somatic embryos in vitro in Musa spp cv. Embul & Kolikuttu (AAB group). J of Natn Sci. Himburegama K. 1997. Cell suspension cultures of Musa cv. Embul (ABB), Mondan (ABB) & Kolikuttu (ABB). Cey J of Sci. Hirimburegama K & Basnayake R. 1997. Salinity tolerance at level of some high yielding local cv. of Oryza sativa (rice). Cey J of Sci. Himburegama K. 1997. Biotechnological approach in weed research-An over view. 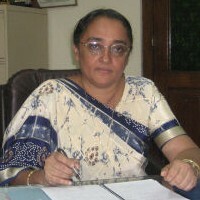 Vidyodaya J of Sci. Vol 7. Hirimburegama K & Gamage N. 1997. Cultivar specificity with respect to in vitro micropropagation of Musa spp (Banana & Plantains). J Hort Sci, UK. 72(1). Hirimburegama K .& Basnayake R. 1997. Salinity tolerance at level of some high yielding local cv. of Oryza sativa (rice). Cey J of Sci. Himburegama K. 1996. Biotechnology in Agriculture. Annual Publication – SLAAS. Himburegama K & Gamage N. 1995. Multiplication of Aloe vera through meristem tips for mass propagation. Hort Sci. Hungary.27 (3-4): 15-18. Hirimburegama K. 1995. Biotechnology in medicinal plants. In. Jayakody L & Jayatunga A. eds. Application of biodiversity to utilize & conserve medicinal plants, SLAAS: 27-36. Hirimburegama,Gamage N & Laksiri B D P. 1995. A comparison of in vitro mass propagation of Kew with Mauritius type of Pineapple (Ananas comosus Merr. L). Tropical Agricultural Research, SL. Vol 7:203-210. Hirimburegama K & Gamage N.1995. Propagation of Bambusa vulgaris through meristem culture technique. J of Hort.Sci.,UK.70 (3). 469 475. Hirimburegama K,, Seneviratne A S.,Gamage N & J Ganegamaarachchi. 1994. In vitro propagation of Munronia pumila (binkohomba).J Natn Sci Coun, SL. 22 (3): 253-260. Hirimburegama K Gamage N. 1994. In vitro callus and cell cultures of Gossypium hirsutum L. (Cotton). J Natn Sci Coun, SL. 22(4):305-312. Hirimburegama K & Wijesinghe L.1992. The effect of Environment on micropropagation of Ananas comosus (pineapple). In. Byoung Ryong (ed). Environmental Control in Micropropagation. 1986-1992. Chiba University, Japan.:451. Hirimburegama K & Wijesinghe L. 1992. In vitro growth of Ananas comosus (pineapple) shoot apices on different culture media. Acta Hort, No 319, Oct 1992, Vol 1: 203-209. Hirimburegama, Dumortier F & De Langhe E. 1990. Somatic embryogenesis from Musa proliferating Tips: Histological details. In. In Vitro Mutation Breeding of Banana & & Plantains 1. IAEA Publication, Vienna. Dec:24-28.